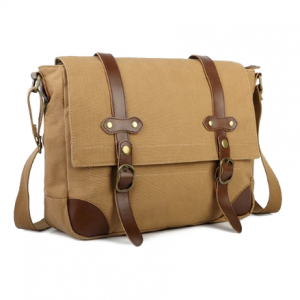 This canvas and leather messenger bag is perfect for men or women. It can hold up to a 15″ laptop and has an inside pocket for a mobile device. A great accessory to pull together a tomboy look.